We geloven dat het leven moet worden geleefd en dat kunst er is om van te houden. 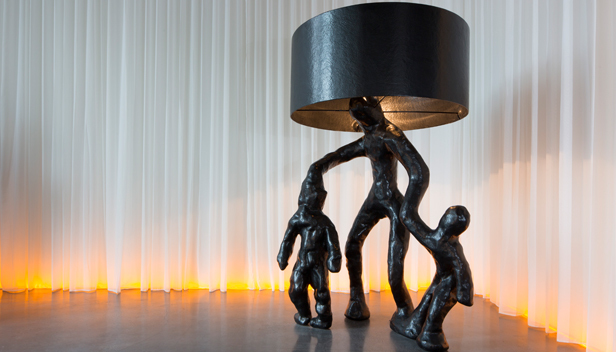 Zoals de naam al aangeeft, is elk art'otel op zichzelf al een echt kunstwerk. Baselitz moved to west Berlin in 1957 to study and since then has become one of Germany's most prolific and best-known artists, largely for the intensity of his neo-expressionist work. 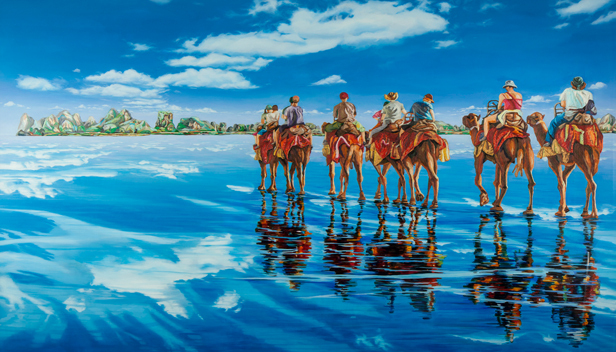 His cross-medium collection of paintings, sculptures and prints are typically abstract representations of landscapes, animals and the human form. 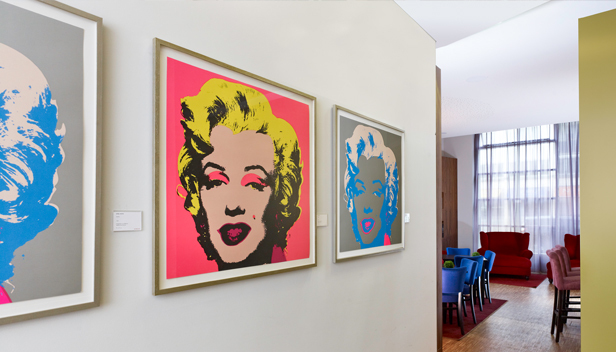 The work of 'pop-art' culture phenomenon Andy Warhol and over 200 photographs taken by his lifelong friend Christopher Makos, are displayed throughout the hotel. Warhol's prolific portraits of movie stars, world leaders, soup cans and emblems from his native america have secured his iconic acclaim worldwide. 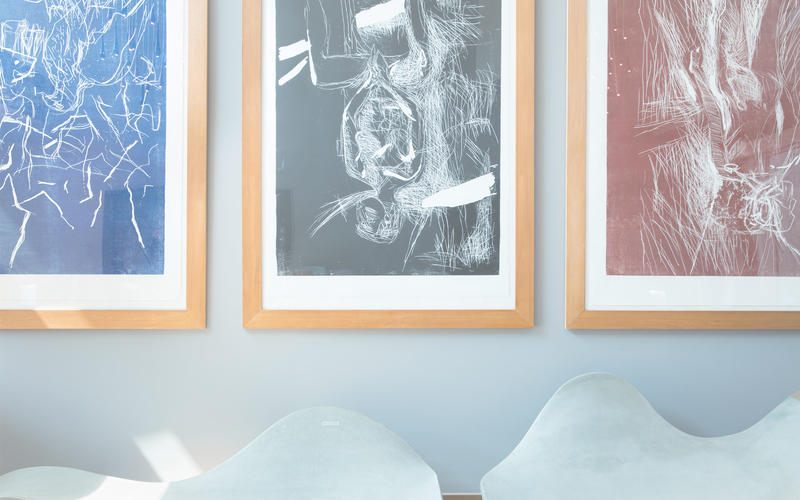 Find out more about Andy Warhol or browse our art'guide. Explore more! 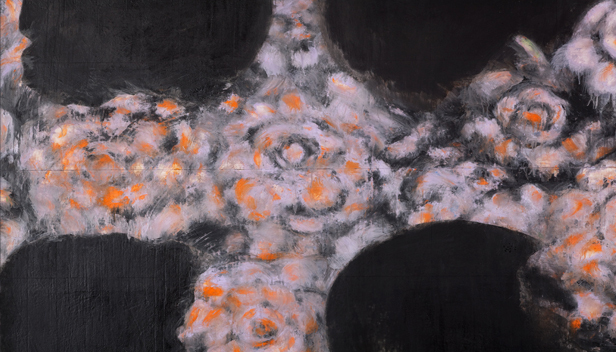 Korean SEO left her native Seoul in 2001 to join German artist Georg Baselitz's master class in Berlin. Since graduating in 2004, SEO has produced colourful explosions on canvas using thin watercolour on thick torn rice paper, drawing influence from both Korea and China and ancient German artistry. American artist Donald Sultan is a leading still life artist in the United States. His abstract and often huge canvases typically include single flowers, pieces of fruit, dominoes and butterflies viewed at extreme close range. 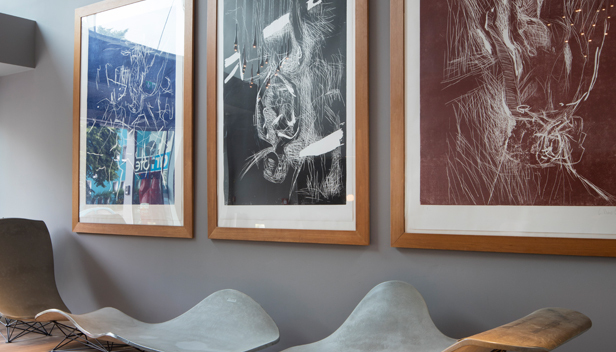 A fantastic collection of his sculpture, and paintings that cover practically every wall, are on display at art'otel budapest.